The TBS6908 compatible with EUMETCast is a Professional level digital satellite TV Tuner card with PCI Express interface. 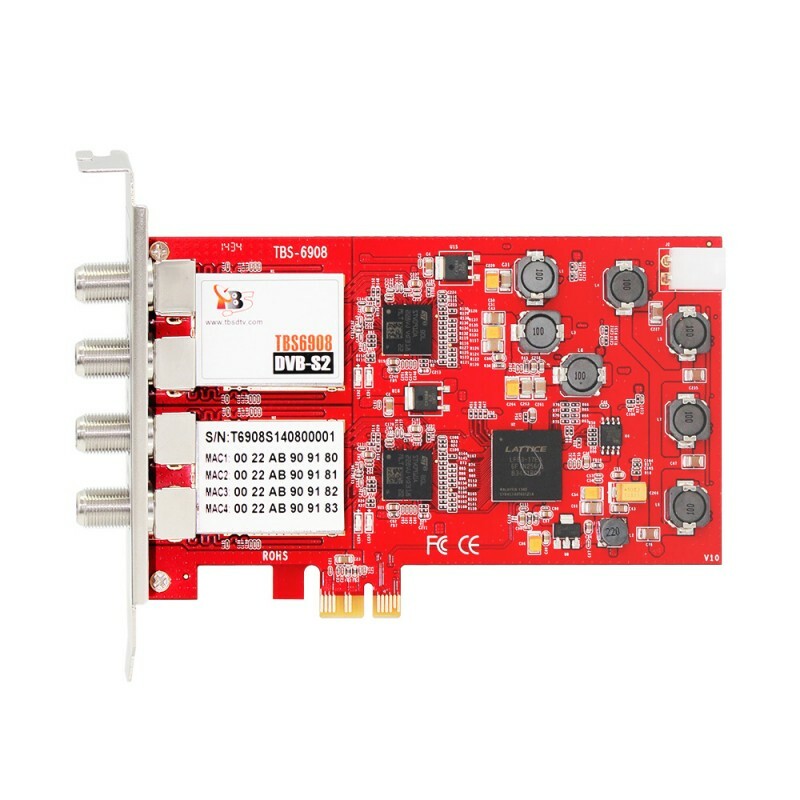 The TBS6908 Quad Tuner Card supports not only normal DVB-S2/DVB-S QPSK, 8PSK which is supported by normal satellite receivers, but also CCM, ACM, VCM, Multi Input Stream, 16APSK, 32APSK, Generic Stream Mode, which most satellite receiving devices can’t support. With use of dedicated TBS tools, those special streams can be captured. Both Windows BDA driver and Linux driver up to the latest kernel 3.X are ready. The TBS6908 Professional DVB-S2 Quad Tuner PCIe Card is built to the highest industry standards. Its rock-steady reliability makes it the dream device for any enthusiast or engineer in the digital satellite TV industry. 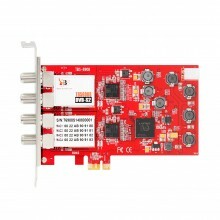 The applying of an unique DVB-S2 demodulator chipset makes it possible to receive special streams broadcasted with ACM, VCM, Multi Input Stream, 16APSK,32APSK or Generic Stream Mode. Click the button below to add the TBS6908 DVB-S2 Professional Quad Tuner Satellite PCIe Card to your wish list.